So here’s the thing, you gays. This Saturday (March 8th) is International Women’s Day. This is probably something you wouldn’t have in your diary – even if you had heard of it – unless you were highly into feminism or ladies, but it should be something we celebrate together more widely. This year’s theme for International Women’s Day is “Inspiring Change”. For your (hopefully educational) pleasure, I’ve taken the time to compile my top 3 personal favourite ladies who have really changed the course of history, politics, entertainment, and the like. So here goes! 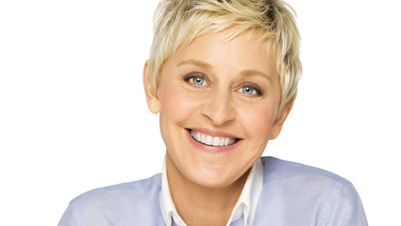 2) Ellen DeGeneres: Come on, I obviously wasn’t going to leave Ellen out of the list. What you will know about Ellen is that she’s an international superstar: she has her own chat show, once had an eponymous sitcom which aired for 4 seasons, and she ever so recently hosted the Oscars. What you may not know is that before Wanda Sykes and Rachel Maddow followed in her footsteps, Ellen was one of the first mainstream female comedians to officially come out as a lesbian, resulting in her career hurtling to the ground. I know, shocking. People were not only somehow surprised by Ellen being gay, but some say her sitcom actually got cancelled because she had come out. But who cares, right?! With the upcoming Pixar Finding Dory on its way with Ellen at the forefront, and a lovely lady like Portia de Rossi on her arm, who’s the real winner here? That’s right, it’s Ellen. 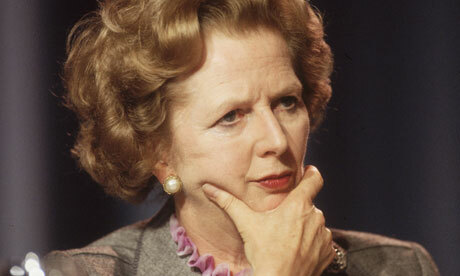 3) Margaret Thatcher: You either love her or you hate her, but she has to have a place on my list. Though she did a lot for the rich in Britain and not enough for the poor, the fact that this little lady became my country’s first female Prime Minister gets her some badass points right off the bat. Possibly the best thing about Thatcher was that she insisted she was not a feminist, had no time for the feminist movement, and she “owes nothing to Women’s Lib”. 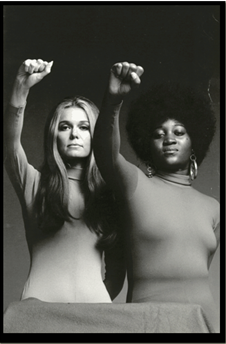 However, the way she lived her life made her inherently a face of the feminist movement, whether she liked it or not. The fact that this was a little lady who would wear her pencil skirt every day and boss around a bunch of men who were often older (and supposedly wiser) than her makes her a feminist by default. Also, although she insisted on not being a feminist, she armed the movement with some pretty awesome women-praising quotes. My personal favourites include “In politics, if you want anything said, ask a man. If you want anything done, ask a woman.” and “It may be the *** that crows, but it is the hen that lays the eggs.” And just like that, she prompted a new generation of young women to strive to be the next female Prime Minister. So those are my favourite, but what we really want to know is: Who are YOUR favourite women? They can be dead or alive, black or white, historical or current, from entertainment or politics – it doesn’t matter. Which women do you think have brought the greatest change to the world? Discuss.